Rope Skipping Alberta wishes good luck to all of the athletes competing at the 2017 Rope Skipping Canada National Championships in Kingston, Ontario. We wish you all the best in Kingston for a positive and healthy competition experience! Clubs are invited to join Fort Saskatchewan Ignite at the Legacy Park Family Festival in Fort Saskatchewan! The Legacy Park Family Festival will be held on Saturday, June 3 from 10:30 a.m. to 3:00 p.m.
A rope skipping demonstration is scheduled for 1:00 p.m. Any clubs who are interested should contact Karen Luger for more information. This is a fun, family event that promises to be entertaining for all of the participants and their families. 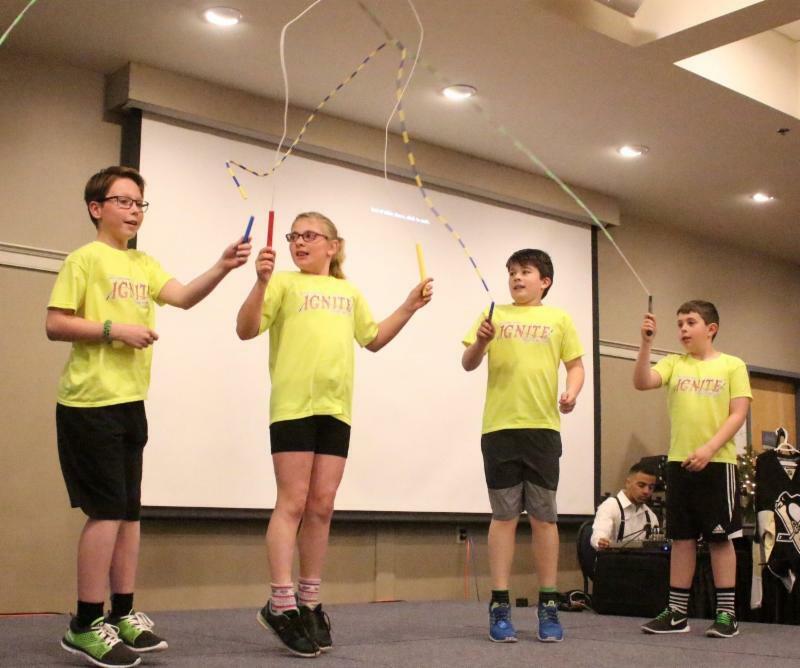 An elementary school in northeast Edmonton is looking for a Rope Skipping leader to assist with their Fun Fest on Tuesday, June 27. This school is a Kindergarten to Grade 6 school, and they are looking to expose their students to as many different sports as possible on that day. They are seeking a volunteer who could spend the whole day teaching skills and games related to skipping. Each station would be approximately 25 minutes long and would rotate through students from 9:00 am until 3:00 pm. Students would be sorted by grade. If you are interested, please contact Rope Skipping Alberta as soon as possible. 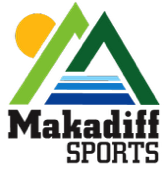 Makadiff Sports, a provincial not-forprofit organization dedicated to supporting the growth and development of amateur sport in Alberta, sees a compelling need to improve sport delivery and increase participation in grassroots community sport. Toward that end, Makadiff Sports has established the Grassroutes Community Sport Innovation Challenge (the Challenge) to help kickstart innovative initiatives all across this province— initiatives that take advantage of promising trends and emerging opportunities in community sport development and delivery. Through the Challenge, Makadiff Sports are looking for new ideas to get more Alberta citizens (particularly children and youth) more active in community sport over a longer term—and, through that involvement, to learn positive values, practice healthy behaviours and experience lifelong health and quality of life benefits. Click to learn more about the Grassroutes Community Sport Innovation Challenge or Makadiff Sports. Early sport specialization is characterized by a high volume of deliberate practice and a low amount of deliberate play in one sport, and focuses on performance as early as age six or seven. 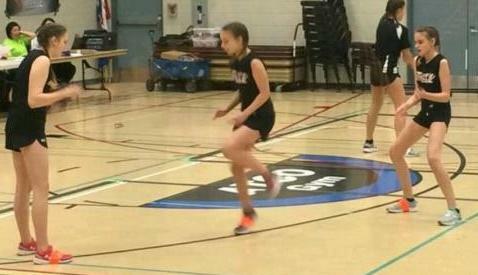 Early sport specialization is on the rise in youth sport, and it’s a disturbing trend. Many parents of young kids (i.e. 12 and under) genuinely believe that more is better, that they are giving their child an edge by narrowing in on one sport, or even that it is a matter of competitive survival. The reality, however, is very different. Studies consistently document the dangers. Dangers to the child’s overall development, danger in terms of injury to growing bodies, and danger from burnout. Unfortunately, these facts are not broadly known and parents are often pushed in the wrong direction. Often the push comes in the form of peer pressure from other sport parents or coaches who are equally uninformed or, worse, from private companies who profit from the hype. Enter Get More From Sport, an education campaign developed by Hockey Nova Scotia and Soccer Nova Scotia, with support from Sport Nova Scotia, to promote multi-sport play. The goal of the campaign is for every parent of an athlete aged 12 or under to visit this site, as you now have. See the evidence and read the facts. Take the test. Hear from sporting greats. See the movement. From there, parents will have the information to make the best decisions for their growing athletes. Hopefully, the grown-ups will worry less about the score, or the level, or “getting ahead,” and simply foster a love of sport that keeps children active for life. For more information about Get More From Sport, visit http://www.getmorefromsport.ca. Enjoy their "Meet the Group" video below. Clubs, this is your chance to share what you are doing! Please send along news of what your team is doing, successes, demos - whatever you would like to share with the rope skipping community! If you were featured in the media, send along a link to the story. Stories can be sent to Rope Skipping Alberta. We are pleased to share this photo of Fort Saskatchewan Ignite's performance for a Boys and Girls Club Fundraiser Event. Organized by members of the Faculty of Physical Education and Recreation, the purpose of The Sport Conference is to provide an affordable opportunity for coaches, athletes, parents, and sport administrators to exchange ideas with University of Alberta academics, coaches and graduate students in a multi-disciplinary and interactive format. This article by Alan Zimmermann appeared in the Spring 2016 SIRCuit Athlete Pathways. Too often, I have heard athletes refer to the eventual end of their high performance athletic career as a ‘retirement’. True there may be some things in common between retirement in the work-life sense of the word and the end of an athlete’s pursuit of high performance goals. But I find ‘retirement’ to be an imperfect analogy. Too much finality is implied.